Who needs RCRA hazardous waste training? Who needs DOT (Department of Transportation) training? Regulatory requirements for healthcare-related waste disposal are complex. For facilities without a full-time staff member devoted to outreach and training, waste management can be a daunting task. This is why MnTAP has created a free, downloadable waste training program designed specifically for healthcare facilities. Before utilizing these tools, you will need to identify your generator size. You can do this by learning more about the issues on our healthcare hazardous waste webpage or by accessing the MPCA’s 10 steps to compliance page. Once you know your generator size, visit the appropriate section below for tools and training documents tailored to your type of facility. If you generate less than 100 kg (220 pounds) of hazardous waste per year and NO acute hazardous waste, you may be able to claim Minimal Quantity Generator (MiniQG) status. Note, however, that some of the seven county metropolitan areas (such as Hennepin County) do not offer MiniQG licensing; in those counties, you would automatically be considered a VSQG. If you generate less than 100 kg (220 pounds) of hazardous waste and less than 1 kg (2.2 pounds) of acute hazardous waste per month, you are a Very Small Quantity Generator (VSQG). In healthcare, this designation is usually applicable to a wide variety of facilities, such as long term care facilities, pharmacies, specialty clinics, family practice clinics, veterinarian clinics, and dental clinics. If you generate between 100 kg (220 pounds) and 1000 kg (2200 lbs) of hazardous waste and less than 1 kg (2.2 pounds) of acute hazardous waste per month, you are a Small Quantity Generator (SQG). In healthcare, this typically applies to facilities such as surgery centers, community hospitals (25-100 beds), or, in some rare cases, very large clinic sites. If you generate more than 1000 kg (2200 lbs) or more than 1 kg (2.2 pounds) of acute hazardous waste per month, you are a Large Quantity Generator (LQG). In healthcare, this would generally be the case if you work in a larger hospital (typically over 100-200 beds). First, any employee who “packages or prepares hazardous materials” (such as picking up the black hazardous waste bins from a nursing unit and transporting to the waste area, or inspecting your hazardous waste storage area) must complete hazardous waste training. Second, any employee who dispenses, delivers, or comes into contact with pharmaceuticals, facility or laboratory chemicals, or other wastes (such as light bulbs and electronics) must complete hazardous waste training. This may include physicians, nurses, nursing assistants, surgical technicians, pharmacists, laboratory technicians, maintenance technicians, environmental services staff, and so on. Hazardous waste training must be completed within the first six months of employment, and at specific intervals thereafter (based on generator size). Training must be documented and kept in a personnel file. 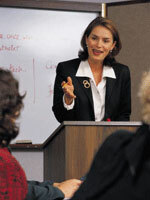 Free training PowerPoints are located on this webpage, one for MiniQG/VSQGs and one for SGQ/LQGs. There is one additional form of training for anyone at your facility who is in charge of your hazardous waste program. This person(s) should take the MPCA’s “10 Steps to Hazardous Waste Compliance” training annually, which is available online as of 2014. According to the MPCA, “This workshop is beginning level training designed for operators of businesses that generate a hazardous waste, permitted facilities, consultants, local units of government, and anyone else who may need to understand how to comply with the Minnesota Hazardous Waste Rules.” Note that some metropolitan counties offer in-person trainings. For example, Hennepin County’s “10 Steps” training schedule is on their website. First, any employee who signs shipping manifests for hazardous waste and/or regulated (infectious) waste must complete DOT training. This may include facilities or environmental services staff, clinic administrators, or administrative assistants, depending on who has been chosen to sign your manifests. Secondly, any employee who “packages or prepares hazardous materials” (such as picking up the black hazardous waste bins from a nursing unit and transporting to the waste area) must also complete DOT training. DOT training must be completed within 90 days of employment and every three years thereafter. 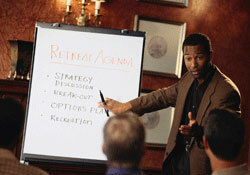 Training must be documented and kept in a personnel file. MnTAP recommends the free DOT Online Training for this (a link is also found within the DOT signed record of training template in the downloadable tools below). Each staff member who has the potential to sign a manifest must complete the DOT training, so MnTAP recommends selecting a limited number of people to sign manifests. The Minnesota Pollution Control Agency (MPCA) recognizes and grants what is called “MiniQG” status, but not all metropolitan counties do the same. Thus, you may generate the same amount of waste, but the license may be called something different depending on whether you are regulated by the state (the MPCA) or by one of the seven metropolitan counties (in and surrounding the Twin Cities). In either case, the rules are very similar, which is why we have combined the training programs here. Training requirements are vague for MiniQG and VSQG sites. Though there is no specific hazardous waste training requirement for MiniQG and VSQG sites by the Minnesota Pollution Control Agency (MPCA), there are requirements from both the Department of Transportation (DOT) and the U.S. Occupational Health and Safety Administration (OSHA). Thus, it is strongly encouraged to train employees at least once within the first six months of the start of their hazardous waste duties. Both the MPCA and MnTAP highly recommend you retrain employees at least annually due to the high cost and complexity of hazardous waste disposal in healthcare. If you are using our tools for training, be sure to check this webpage for updates before you administer any annual training to your employees. We encourage you to tailor any of these documents to suit your particular needs, removing or adding information to them as appropriate. The training requirement for a small quantity generator (SQG) is that you must train employees at least once within the first six months of the start of their hazardous waste duties, with no additional requirements thereafter. However, both the MPCA and MnTAP highly recommend that you retrain employees at least annually due to the high cost and complexity of hazardous waste disposal in healthcare. The training requirement for large quantity generators (LQG) is that you must train employees at least once within the first six months of the start of their hazardous waste duties and at least annually thereafter. If you are using our tools for training, be sure to check this webpage for updates before you administer any annual training to your employees.